Slovenská Grafia is the original name of the company dating from 1921 and is the oldest original printing works in Slovakia. The co-founder and chairman of its board of trustees was Dr. Milan Hodža, the first Slovak prime minister of the government of the first Czechoslovak republic. In 1935, the first colour publication made for Matica slovenská emerged from its printing-machines. 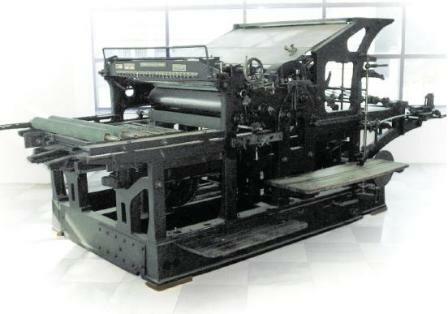 In 1936 gravure equipment was installed, and two years later, an offset equipment. The tradition of rotary printing dates back to 1956, when the first gravure printers and offset rotary presses were installed and the production of colour picture magazines started. In 1971, the current factory in Bratislava – Krasňany was built. From 1997, a technology for the preparation of a form in gravure without film was introduced – CTG and from 2002, the same was done for offset – CTP. In 2012, after 55 years, the rotogravure production was finished. The majority share-holder of Slovenská Grafia is the Grafobal Group, the most important Slovak business group working in the area of packaging, printing, distribution and media. 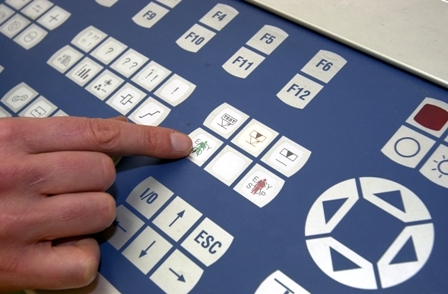 We have the state-of-the-art equipment in all production stages available, from the order placement by means of and web interface InSite, through the workflow Kodak Prinergy Connect, the state-of-the-art proof on the monitor on each printing press, automatic colour control in the printing presses up to the elements of automation and robot utilisation by the production machines in the printing as well as finishing. For the manufacture of printing moulds, CTP and CTG technology is used, which ensure a top reproduction quality. The immediate hourly capacity of 12 million A4 per hour ranks us among the best printing houses in Europe. The main printing presses are offset web presses KBA Compacta 918 (72 pages in DIN A4 format), Lithoman IV (64 pages in DIN A4 format), Lithoman III (48 pages in DIN A4 format), Lithoman IV (32 pages in DIN A4 format), Lithoman III (32 pages in DIN A4 format) and Polyman (16 pages in DIN A4 format). The web presses in Slovenská Grafia provide a high variability of the chosen formats and page counts. 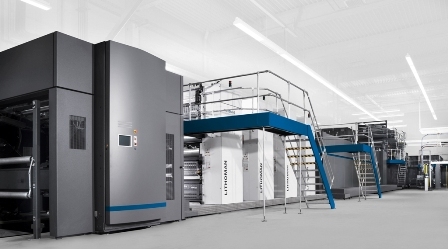 The printing machinery is supplemented by two sheet-fed offset presses, one 5-colour press Heidelberg Speedmaster CD 105 with the option of in-line varnishing of the DIN B1 format and on 5-colour press KBA Rapida 105-5 in DIN B1 format with integrated UV varnishing. The sheet-fed presses are designed for printing of sophisticated varnished covers for magazines or catalogues. Finishing with wire stitching including the possibility of inserting, gluing or sticking the advertising materials is ensured by three wire stitchers of the manufacturer Müller Martini and one drum wire stitcher Ferag UniDrum. Perfect binding is produced on the line Kolbus KM 473, which belongs to the latest technologies in its category. To complement the complex portfolio of customer service, we offer possibilities on two packaging lines Sitma 950 and CMC 2800 to individually address the products and subsequently to package in PE or PP films according to the needs of the distribution companies and to enclose advertising materials. We know and define the needs of our clients and guarantee high-quality service with high added value. Our aim is to offer complex service to the clients and to fulfil demanding market requirements on quality and professional engagement. In this way, we have gained a firm place in European printing and integrated ourselves in to the strong international community of renowned publishing houses and influential printers, whether through direct customers or through partnerships subcontracting for large Western European printers.